The Rothschild/ Rockefeller Deal You May Have Missed ? "We talk about how the oligarchs control both (Left v Right) or all sides of the political debate, foment division and leverage their vast wealth to manipulate culture"
Ya know like the Kurds & ISIS? Alt media vs main stream media? Let's get back to the news at hand. After hearing this news mentioned in the above interview, I wondered how it was this marriage of money and power, that took place in 2012, went unnoticed until the 2015 article? After pausing to think about who these people are, really are, it made perfect sense that the deal would be done far from the prying media eyes that we foolishly believe keep us informed. Then when the time was right, before someone else might have broke the news in a less then kowtowing manner, the article appeared in Vanity Fair, (vanity/conceit is fair?) Presented glowingly, or perhaps more accurately, in a fawning manner, by Charlie Rose. "Triple Crown Charlie" as Jason Erb from Faux Capitalist describes him. CFR. Bilderberg. Trilateral .Triple crown indeed, Mr Rose was clearly the right man for the job. Without giving away the details Charlie Rose manages to make this deal seem almost magical. In May 2012, two of the world’s most storied financial families fused a historic business deal. Charlie Rose salutes their newfound partnership. Few families have stood the test of time like the Rockefellers and the Rothschilds. The Rockefellers—founders of the Standard Oil Company in 1870 and a wealth-management firm in 1882; philanthropists of vast generosity in both the arts and the sciences—are considered old money in America. But they are somewhat new-minted compared with the Rothschilds, a name in banking that commenced in the late 1790s and a family whose footprint is large and far-reaching in art institutions all over the world. Three years ago, in May of 2012, the two dynasties came together in a deal that was quietly and poetically momentous. The deal was done by two remarkable men: David Rockefeller, who is now 99, and Jacob Rothschild—Lord Rothschild, fourth Baron Rothschild—who is 78. Two lions in winter, they have known each other for 50 years; they have also had parallel lives, growing up on grand estates and surrounded by an abundance of art, ancestors, and siblings. David went to Harvard and the London School of Economics and earned a Ph.D. from the University of Chicago. Jacob graduated from Eton and Oxford. They both jumped into careers in finance. They jumped into careers in finance? I suspect it is in philanthropy and art preservation that these two new partners will be acclaimed: David, of course, for the Rockefeller Brothers Fund and the Museum of Modern Art (where his mother, Abby Aldrich Rockefeller, played such a prominent role); Jacob, meanwhile, as chairman of the board of trustees of the National Gallery, the National Heritage Memorial Fund, and the Heritage Lottery Fund. The legacy of their deeds raises a question: Who, after they are gone, will make the same commitment to the preservation of the past and the science of the future? Their commitment has been to manipulation in order to make money. Think of two banking/oil families who wield so much power. Some a bit more overtly. Some much more quietly. But in both cases the immense power these two families have exerted, for literally centuries, globally, has been nothing short of a guarantee of perpetual profit taking through mass interference/manipulation. Power, profit and control for the elites. Tyranny, misery, war, sickness for the rest of us. 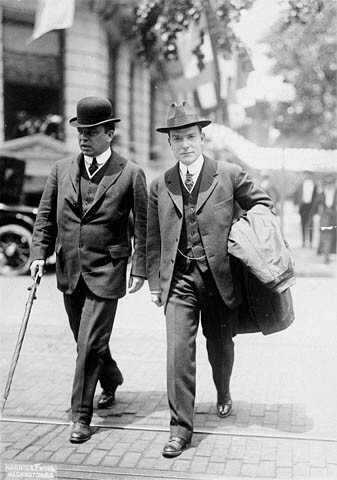 Canadians may be largely unaware that William Lyon Mackenzie King was a Rockefeller man. Rockefeller's Medicine Men- PDF- Must read kind of book. "In 1989, working with his father David Rockefeller, Dr. Rockefeller helped MSF establish its roots in the United States"
Rothschild being synonymous with banking. Oil. Russian oligarchs. Hitler. The “arts”. 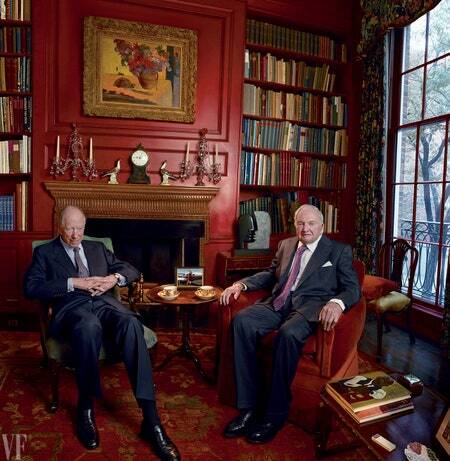 (culture corruption) And surely much, much more in the hundreds of years the Rothschild dynasty has reigned. "As a result of this investigation a secret document was prepared which proved that Maria Anna Schicklgruber was living in Vienna at the time she conceived. At that time she was employed as a servant in the home of Baron Rothschild"
In 2003, when Khodorkovsky was arrested, he signed over all his shares in Yukos, to one Jacob Rothschild, of the Rothschild banker and Oil family. "Control of Mikhail Khodorkovsky's shares in the Russian oil giant Yukos have passed to renowned banker Jacob Rothschild, under a deal they concluded prior to Mr. Khodorkovsky's arrest, the Sunday Times reported"
Rothschild Gambled and Lost on Oil? Just under an hour- Absolutely worth listening to! Henry Bauer: Exactly, thank you. The thing is that even as science is accepted as being the hallmark of a true understanding, the fact of the matter is, the history of science shows quite clearly that scientific consensus, at any point in time, can’t be accepted as absolutely correct. 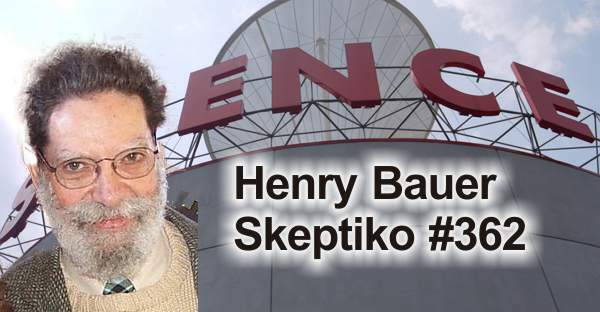 Henry Bauer: I love that one because on the one hand we have the scientific method, which supposedly says that we don’t accept theories until the evidence has proved them. On the other hand we say, science is self-correcting. Well, if it was right the first time, why does it need self-correction? And if it is self-correcting, that is an admission that scientific consensus, at any particular time, can’t be given too much credence. No acceptance of unproven theories in science? That's what people actually believe?! If so that explains why so much nonsense is believed. Like the carbon and AGW concept. Which is discussed in this interview. The theory of evolution was never proven either for that matter. How did it gain widespread acceptance? Why were other theories tossed to the wayside? Was it politics? Sure it was! Same as the AGW theory. Politics and science shouldn't mix. Yet, they do. And we are all poorer and unhealthier in or minds and bodies for that mixing. Henry Bauer: You get competition becoming more and more fierce and as competition gets fierce, human beings start to, maybe fudge a little bit, cut corners and so on. Around 1980 there was a book published by two science journalists, Broad and Wade, called Fraud and Deceit in the Halls of Science and they claimed that dishonesty was an inherent part of scientific activity. Now imagine: traditionally, science had been regarded as about as honest an endeavor as you could ever find and here were people saying the absolute contrary, that fraud and deceit were inherent in it. The scientific community and that includes me, did not take kindly to that book, but as it turns out they had noticed something that was really going on. Henry Bauer: Sure, and you know, people in power can find all sorts of rationalizations as to why they suppress other people’s points of view. For that matter, the story of Galileo and the Church, is often presented as science versus the Church, but actually The Pope didn’t like what Galileo was doing because he was challenging authority and if you challenge the authority of our scientific establishment, then they will react just as badly as The Pope or the Catholic Church reacted against challenges to its doctrines on everything, not just theological doctrines but what they were saying about how the world works, about the science. Henry Bauer: Well, that’s right and one of the main points I make in the book is how drastically scientific activity has changed, in particular around the time of the Second World War, mid-twentieth century. I think up until then, it wouldn’t have been all that wrong to say that science is a fairly independent activity that tries to discover or get the best understanding of how the world works. But the Second World War, the atomic bomb and all the other things like radar started this era in which science is involved in just about everything. I mean, medicine is said to be scientifically based or seeks to be scientifically based, and there’s been an enormous expansion of money going into scientific research. So that nowadays, what you find is, that the activity of doing research is actually being controlled from the outside, it is no longer independently precarious about how the world works, looking into stuff. Somewhere in the interview Dr Henry Bauer discusses peer review- Of course I've a particular "bone to pick" with this concept! parameters (limit, boundary) sharing some common attributes, who conspire together (breath/work together) toward a common result or goal. "US and UK intercepts could hold answer to 1961 accident in Africa that killed Dag Hammarskjöld and 15 others"
Before we get to this report, I would ask that readers think about this forgotten history from a number of different angles? *First, as it most probably relates to the many suspicious aircraft “accidents” that didn’t seem quite so accidental. There may be still other "crashes" that didn't cross my mind as I wrote this post up. In the case of the UN boss, like Wellstone, Kennedy Jr, and the Polish government, “pilot error” was the accepted, stated cause. But was it really THE CAUSE, or was “pilot error” simply settled upon as a convenient and tidy way to wrap up suspicious incidents? Blame the pilot, surely closed down inquiries into the “plane crash” that killed Dag Hammarskjöld enabling the crash to be quickly put to bed. Or swept under the rug? *Second: Consider the conspiracy involved to ensure this incident was hushed up. *Third: Consider what grew out of this plot? What came after? That may have been the impetus for killing this man? Moving forward in time, in the same region, some of the same locales, undoubtedly the same players and we have a CIA cult, Ebola emerging, Hollywood ties and all manner of intrigue occurring in the exact same area!! As if what occurred in 1961 was setting the stage for that which occurred in the ‘70's, as the stage was set many years past for happens in our recent times. I’ll relink two older posts that cover all the intrigue that ensued after the plane crash! A UN report into the death of its former secretary general Dag Hammarskjöld in a 1961 plane crash in central Africa has found that there is a “significant amount of evidence” that his flight was brought down by another aircraft. The report, delivered to the current secretary general, António Guterres, last month, took into account previously undisclosed information provided by the US, UK, Belgian, Canadian and German governments. Its author, Mohamed Chande Othman, a former Tanzanian chief justice, found that the US and UK governments had intercepted radio traffic in the area at the time and suggested that the 56-year-old mystery could be solved if the contents of those classified recordings were produced. Hammarskjöld, a Swedish diplomat who became the UN secretary general in 1953, was on a mission in September 1961 to try to broker peace in Congo, where the Katanga region had staged a rebellion, backed by mining interests and European mercenaries, against the newly independent government in Kinshasa. His plane, a Douglas DC-6, was on the way from Kinshasa to the town of Ndola in Northern Rhodesia (now Zambia), where the British colonial authorities were due to host talks with the Katanga rebels. It was approaching the airstrip at about midnight on 17 September when it crashed, killing Hammarskjöld and 15 others on board. Two inquiries run by the British pointed to pilot error as the cause, while a UN commission in 1962 reached an open verdict. In recent years, independent research by Göran Björkdahl, a Swedish aid worker, and Susan Williams, a senior fellow at the Institute of Commonwealth Studies in London and author of a 2011 book Who Killed Hammarskjöld, persuaded the UN to reopen the case. A panel convened in 2015 found there was enough new material to warrant the appointment of an “eminent person” to assess it. Othman was given the job in February this year. - In February 1961, the French secretly supplied three Fouga warplanes to the Katanga rebels, “against the objections of the US government”. Contrary to previous findings, they were used in air-to-air attacks, flown at night and from unpaved airstrips in Katanga. - Fresh evidence bolsters an account by a French diplomat, Claude de Kemoularia, that he had been told in 1967 by a Belgian pilot known as Beukels, who had been flying for the rebels as a mercenary, that he had fired warning shots to try to divert the plane away from Ndola and accidentally clipped its wing. Othman said he was unable establish Beukels’ identity in the time available for his inquiry. - The US had sophisticated electronic surveillance aircraft “in and around Ndola” as well as spies, and defence officials, on the night of the crash, and Washington should be able to provide more detailed information. Othman found that earlier inquiries had disregarded the testimony of local witnesses who said they saw another plane and flashes in the sky on the night of Hammarskjold’s crash. They had also “undervalued” the testimony of Harold Julien, a security officer who survived for several days who told medical staff he had seen “sparks in the sky” shortly before the DC-6, known by its registration number SE-BDY, fell out of the sky. “Based on the totality of the information we have at hand, it appears plausible that external attack or threat may have been a cause of the crash, whether by way of direct attack causing SE-BDY to crash, or by causing a momentary distraction of the pilots,” Othman concludes. Othman argues that the “burden of proof” was now on member states “to show that they have conducted a full review of records and archives in their custody or possession, including those that remain classified, for potentially relevant information”. The Tanzanian judge said that the most relevant pieces of information were radio intercepts and called for countries likely to have relevant information, such as the UK and US, to appoint an “independent and high-ranking official” to comb the archives. “Any such information regarding what occurred during the last minutes of SE-BDY, if verifiable, will be likely to either prove or disprove one or more of the existing hypotheses, bringing us more proximate to closure,” Othman writes. The scattered wreckage of the Douglas DC-6 carrying Dag Hammarskjöld in a forest near Ndola, Zambia. "Being a vicious Anti-communist authoritarian, President Mobutu Sese Seko in Zaire received CIA dollars of appreciation during several decades of the Cold War. 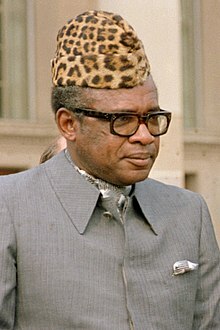 He rose to power in the early 1960s with the help of a lot of foreign-supplied guns and cash, much of which was provided to him by you know who"
Interesting.. We have Mobutu in the sphere of CIA influence, at the same time as the Katanga rebels are being aided by big business and France for certain. Let's see if dictator Mobuto aligns with the Katanga rebels- This ain't going to be difficult connection, I'm certain of that! "Belgian forces helped Mobutu in a coup d'état against the nationalist government of Patrice Lumumba in 1960 to rule the government. Lumumba was the first leader in the country to be democratically elected, but he was subsequently deposed in a coup organised by Colonel Mobutu and executed by a Katangese firing squad"
Connecting the dots- A diplomat's plane shot down- we have Katanga rebels involved in attempting to overthrow an actual elected leader, succeeding, and executing that leader- with a CIA man waiting in the wings to run the country in a manner efficient for big business! How very convenient! "Willam T Close ran a hospital in Kinshasa, a large hospital, coincidentally in that area there were a high percentage of people infected with AIDS as tests had shown. Yet, in the rural area the prevalence of infection was stable and low?" Their study, published in the December issue of the journal Nature Medicine, shows HIV and Ebola use a protein called Tsg101 to bud from the cells they infect. "It's remarkable to see two such different viruses share a common budding mechanism," Bieniasz said in a statement." The AIDS and Ebola virus are linked by a common budding mechanism, a common location AND the presence of Doctor William T Close. Remarkable, indeed. 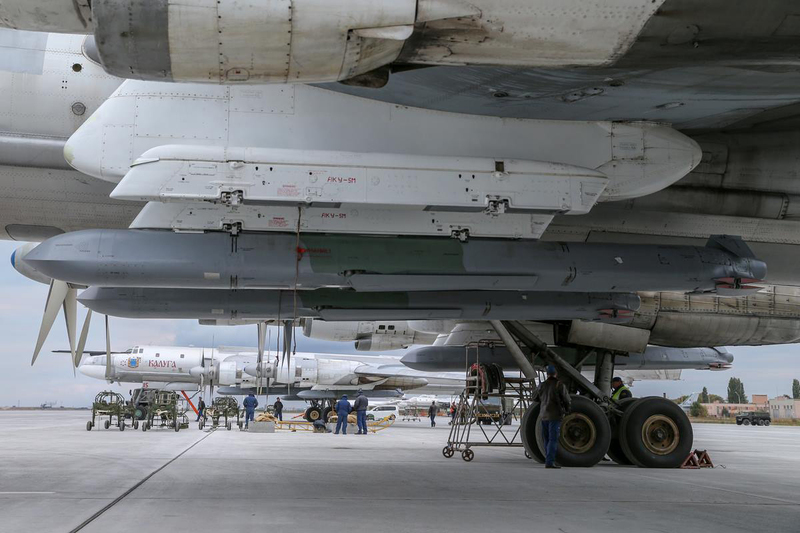 Cruise Missile Attack from Russia Avenges Lieutenant General Valery Asapov Death? Looks as if the Russia built bridge, mentioned yesterday, aided SAA & allies as they surround Deir ez Zor- So Russia aided the Syrian offensive! Russian-backed Syrian government forces have all but encircled Islamic State militants in the eastern city of Deir el-Zour, a group that monitors the war said Wednesday. The state-run news agency SANA said pro-government forces are battling the militants in the village of al-Husseiniyeh on the eastern bank of the Euphrates River, across from the remaining militant-held pockets in the city. The Britain-based Syrian Observatory for Human Rights said retaking al-Husseiniyeh would leave the militants fully surrounded. According to Bloomberg that is the case? I will reserve judgement at this point. Bloomberg builds it’s entire narrative around the construction of a bridge that it alleges can carry 8000 vehicles a day! Wow, 8,000 vehicles a day! That’s a lot of vehicles. And maybe that bridge can carry that type of load? As in, that's it's maximum load capability.... but, will it be carrying that load? Every day? Every minute of every day? (5.5 cars a minute) Or is Bloomberg engaging in some embellishment to up the fear factor? The small road bridge is 210 meters (about 690 feet) long and can transport 8,000 vehicles a day, including tanks, armored personnel carriers and multiple-launch rocket systems, the Russian military official said. That should make it possible for a large contingent of the Syrian army to get across, Tass said. Today's earlier post covered Deir ez zor : Are the New Borders of Syria Being Drawn Right Now in Deir ez Zor? The Lebanese Hezbollah and a number of other Iran-backed groups are also fighting alongside the Syrian army in Deir Ezzor, as are a number of local tribes, most notably the al-Shaitat tribe. Russian warplanes are providing aerial cover for pro-government advances, and Moscow announced on Thursday that it has deployed special forces to assist the Syrian army. Russian Deputy Foreign Minister Sergei Ryabkov a day before denounced what he called the “two-faced American policy” in Syria after a general died over the weekend in a mortar attack by Islamic State fighters in the contested eastern Deir Ezzor region. U.S. State Department spokeswoman Heather Nauert denied any American support for the terrorist group or complicity in the death of General Valery Asapov, a top Russian military adviser in Syria. Are the New Borders of Syria Being Drawn Right Now in Deir ez Zor? I changed the headline just a bit to make it a question rather then a foregone conclusion, since I'm hoping this is still a question. To which the answer is: No new borders redrawn and the US can take their PKK thug proxies and go away! That said, I have stated, this is exactly what is has been going on since 2011- Annexation. Territory grabbing. Ethnic cleansing. Redrawing borders. All familiar themes for readers here. Now, we’re down to the crunch. Crowds filled the streets of Deir Ezzour, jubilant that the three-year siege of their city by ISIS was finally coming to an end. Car horns blasted, shops re-opened, and men were seen relaxing and smoking cigarettes--a practice banned under ISIS rule. Though Assad’s regime stands accused of murdering countless thousands more civilians than any other side in the conflict, their arrival in the city was met with celebrations. The Syrian Arab Army’s capture of Deir Ezzour and crossing of the Euphrates river has marked a new stage in the Syrian War. The Syrian Arab Army (AAA), backed by Russia and Iran, are now in a race against the Kurdish-led Syrian Democratic Forces (SDF), backed by the U.S., to capture Deir Ezzour’s vast oil reserves and the Abu Kamal border crossing with Iraq. While the SAA worked to oust pockets of ISIS resistance northwest of Deir Ezzour over the weekend, the SDF claimed it captured the Conoco Gas Plant, a major strategic victory. Deir Ezzour is ISIS’ last real holdout in Syria, and its quick collapse was sparked by an aggressive offensive by the Syrian Regime backed by Russian airpower. The SDF then seized the opportunity to rush southwards towards the oil fields as a distracted ISIS fought to keep its control of the city and its surrounding area. Deir Ezzour’s oil reserves account for approximately 50% of all of Syria’s oil, making it one of the most strategic areas that is now up for grabs. Basically then, whoever controls Deir Ezzour’s oil helps to control the fate of the country. As of now, the U.S. coalition has blocked the SDF from advancing into the city itself, potentially in a bid to avoid direct confrontations with Syrian and Russian troops who are now going block-to-block to clear out lingering ISIS positions. But the SAA crossing the Euphrates, which separated the SDF from regime forces, makes such confrontations inevitable. Eventually, the SAA and SDF will run into each other in their respective attempts to grab the oil fields. How that confrontation will look depends on how strong each side pushes the other. For its part, Russia signaled its willingness to use violence. * Saturday, September 16, 2017: UPDATED: Did Russian Airstrikes Intentionally Target US backed Kurdish Fighters? Kurdish Independence in the Making? If the SDF can acquire enough of Deir Ezzour’s oil, not only do they get an extra source of revenue, but they simultaneously get more leverage in any future discussions of Kurdish autonomy in the New Syria. If the SDF and U.S. can secure the Syria-Iraq border town of Abu Kamal, they help to block the formation of the Shiite Crescent, where Iran’s influence extends uninterrupted from Tehran to Beirut. However, if the Syrian regime can capture Deir Ezzour’s oil, they can put more pressure on the Kurds to acquiesce to a unity deal, keeping the same borders as pre-2011 Syria. If the regime can get to Abu Kamal before the SDF, which currently looks likely, then it can establish a direct supply route from Tehran and Baghdad to Damascus and Beirut. The SDF’s primary goal is to establish an independent ethno-state in northern Syria to represent the Kurdish peoples who are currently split between Syria, Iraq, Iran and Turkey. To help achieve this objective, the SDF has pushed far south past where limits of where Kurds actually live in Syria. Deir Ezzour has few Kurds and is mainly composed of Arab Muslims. The SDF’s imminent capture of Raqqa, another majority-Arab city, is another example of strategic locations the Kurds are taking to give themselves more bargaining chips in any future negotiations over their autonomy. The spillover from any upcoming conflict between the SDF and the SAA has the potential to reach all of northern Syria. A fragile truce holds over the frontlines near Aleppo and Raqqa, but any escalation in Deir Ezzour may spark further confrontations, threatening to reignite parts of the country in war that are only just beginning to experience peace since the war started in 2011. At the same time Syrian Kurds are seeking to gain leverage over the Syrian regime via mobilizing its military, Iraqi Kurds are moving forward with a referendum to formally move towards independence. *October 29/2015: PKK Challenges Barzani in Iraq- One ring to rule them all? Whether or not the Kurdish population itself really wants one. Both Kurdish movements (just one Kurdish movement-see 2015 post) have succeeded where most initially failed--by being reliable allies in the fight against ISIS, they have pushed their ethno-political agenda forward and forced their case for autonomy onto center stage. So while civilians celebrate the ousting of ISIS from their towns in eastern Syria, they may need to brace for a more prolonged conflict between two much more well-equipped foes. The Kurdish people- however you wish to believe they exist as a unified people- has little to do with reality. They've never been unified and are notorious for infighting. Nor have they ever had a state- I’ve actually seen misleading information other places implying the Kurds did have a state and it was divided up among Syria, Iraq, Iran and Turkey- This was NEVER the case. "They’ve never had a permanent state.... but first results are due tomorrow from Kurdistan's indyref"
INITIAL results from an independence referendum in the Kurdistan region of Iraq should be known tomorrow, with the full outcome due later in this week. More than 5.2 million voters in the three northern Iraqi provinces that make up the autonomous region were entitled to cast their ballot yesterday in a poll that Iraq’s Prime Minister Haider al-Abadi denounced as “unconstitutional”. I’ve read the turnout may have been as high as 70 percent, but, that was pretty preliminary information..
Bernard Henri Levy has been all over the place promoting Kurdistan & Israel’s approval for it. For quite some time now. He made the romantic documentary that was ‘suddenly’ included at Cannes. Not employing the term romantic in the usual boy/girl sense- rather: "marked by the imaginative or emotional appeal of what is heroic, adventurous, remote, mysterious, or idealized"
His opinion was featured over the weekend in the Globe and Mail. Most certainly not worth my time to read! Here he is again talking up Israel's special obligation to support the kurds. Years ago I wrote about how very similar the mythology of the Kurds/Judiac is/was. How much it aligned. Including the righteousness of a nation state for both- at the expense of millions of others! Not sure how it was so many others failed to see the obvious similarities? Death, displacement, war crimes, ethnic cleansing- All swept under the rug for moves on the global chess board. He was a cheerleader for the real nazis in Ukraine - ya know the ones Canada supports? Bernard Henri Levy- Questionable morals. Questionable politics. And most certainly not a philosopher of any merit. Not in my book. Russian warplanes bombarded the positions of Syrian Democratic Forces (SDF) in the area of Koniko (Conico) gas field northeast of Deir ez-Zor Monday noon. In the wake of the aerial bombardment, Russian forces started to hit the area with mortars and Katyushas. It’s possible ground attacks are taking place, however, I have serious doubts about the aerial strikes- It sounds almost exactly like the previous claim, including, the same injury count according to some reports I’ve read. The area of Koniko gas factory northeast of Deir ez-Zor was liberated by SDF fighters on September 23. A gas factory liberated? What weird language. Koniko was liberated by brand SDF- How about this much more truthful headline? "The PKK’s Syrian wing, the PYD, took control of a major gas plant northeast of Deir Ez-Zour province in Syria, according to a local source. The US-backed group is advancing into the eastern Syrian province, home to some of the country’s most productive oilfields. There are 11 major oilfields in Deir ez-Zor from which the Daesh militants allegedly withdrew earlier without any shots fired." The Turkish Prime Minister Binali Yildirim in an interview with Anadolu News Agency stated that guarantor states (Iran, Russia and Turkey) had star working on establishing the fifth de-escalation zone, which would be set up in the northern part of Aleppo province, in the area of Afrin. Macer Gifford is a former banker in the City of London - but he has left his old life behind to fight ISIS in Raqqa. From sitting at a desk to touting an AK47? Yah, like that's credible. Russia outed their snuggling together earlier today- But really we didn't need Russia to tell us that which was already obvious. Now a Russian General has died because of ISIS shelling. The same ISIS that frolics with US troops. The Russian Defense Ministry says one of its generals, who was serving as an adviser to Syrian government troops, has been killed in the country’s east, according to state news agency TASS. The ministry was quoted as saying on September 24 that Lieutenant General Valery Asapov "was at a command post of Syrian troops, assisting the Syrian commanders in the operation for the liberation of the city of Deir al-Zor," when he was “mortally wounded" by mortar shelling by the extremist group Islamic State (IS). The ministry added that Asapov would be posthumously decorated for his service. MOSCOW (Reuters) - Russia’s Defence Ministry said on Sunday that one its general lieutenants, Valeryi Asapov, was killed by mortar shelling in Syria, the TASS news agency reported. The mortar shelling was carried by the Islamic State near Syria’s Deir al-Zor, the ministry said. Lt. Gen. Valery Asapov died after sustaining a "fatal injury" in the "sudden Daesh mortar shelling," the ministry said. "Lt. Gen. Valery Asapov died in the Syrian Arab Republic as a result of the Daesh shelling," the statement said. Update: Being uncertain what the rank of Lieutenant General signified in the Russia military structure, I went off to inform myself. Lieutenant general, lieutenant-general and similar (abbrev Lt. Gen, LTG and similar) is a three-star military rank (NATO code OF-8) used in many countries. The rank traces its origins to the Middle Ages, where the title of lieutenant general was held by the second in command on the battlefield, who was normally subordinate to a captain general. At the time that Haaretz oped was published, one month ago, the writer suggested Israel was opposed to this vote- That was just another lie. Because Israel wants a type of Kurdish independence, that has been created for and will only serve Israel's interests. Israel has a long tradition of seeing the region’s Kurds as a buffer from both Arab and Iranian threats; but with Turkey having its own restive Kurdish minority, Israel’s support of the vote has drawn strong condemnation in Turkey. As if Israel cares about their ties with Ankara. They don't!! I've been writing about this for years now..
2014: Kurd/ ISIS Symbiosis- The impending destruction of Turkey. This report cannot possibly come as a surprise to anyone! The Russian Defense Ministry released aerial footage of the Daesh positions north of Syria's city of Deir ez-Zor that showed the US equipment deployed in the area. The photos posted on Russia's Defense Ministry's Facebook page on Sunday show equipment that is being used by the US special forces. "The aerial photographs, taken on September 8-12, 2017 in the areas of Daesh troops' deployment, detected a big number of US Hummer armored vehicles, used by the US Army's special forces," the ministry wrote on Facebook. "Despite the strongholds of the US armed forces being located where Daesh militants are currently deployed, there are not even signs of the organization of a battle outpost. This shows that all the US servicemen who are currently there, feel completely safe in the areas under the terrorists control," the ministry outlined. Unless you've been asleep & have been reading any where else but here you would be unaware that this is a repeating pattern. The Kurds, on too many occasions to recount, have seen ISIS completely melt away, or the Kurds simply give ISIS a free pass at just the most opportune time. The ISIS walk away always allows the Kurds to take territory and resources- Water as just one example- Tabqa dam: Kurds Allow ISIS to Leave Tabqa & "Live to Fight Another Day" Oil, most recently. The taking of the oil fields of Deir ez Zor - sees the same pattern, the one that has played out for years now, repeat itself yet again. Yesterday it was reported that the oil fields were aflame. Yes, it’s SOHR- But I have no doubt that “ISIS” would take undertake this type of action. U.S.-backed Syrian fighters captured Saturday the country's largest gas field from the Islamic State group in an eastern province that borders Iraq as they race with government forces to capture the energy-rich region, a senior official with the group said. Another SDF spokesman, Brig. Gen. Talal Sillo, said the fighting in the area left 65 IS fighters dead while more than 100 gunmen surrendered. Of course I don’t believe Gen Talal Sillo, what so ever. It’s most likely no ISIS fighters are dead. Though they may have some oil field workers/random poor sod bodies to drag around and claim they are ISIS- and no one surrendered from the US backed ISIS to the US backed Kurdish militias either. Sillo said that SDF fighters marched toward the field from the nearby village of Khsham under the cover of airstrikes by the U.S.-led coalition. Like I said they’ll have some bodies to drag around as props. At the moment, nearly 80 percent of oil resources in Deir ez-Zor are under IS [Daesh] control. As regards gas deposits, almost all of them are still under control of terrorists. All the plants and gas fields, which I refer to, are located on the other side of the Euphrates [the northern part of Deir ez-Zor] — this is Conoco, Omar, Jafra, Al-Isba and Tanak, and most gas processing plants are also located there." The representative noted that the infrastructure of gas fields had been significantly damaged. "According to our data, the terrorists have completely destroyed the infrastructure in the Omar and Tanak gas fields, a part of the facilities in Conoco have been destroyed as well… Reconstruction of gas fields' infrastructure is possible, but the damages may be assessed only when we are able to visit this places and hold careful examination," Hamid said. 2014: Kurd/ ISIS Symbiosis - The Impending Destruction of Turkey. 2014: Kurdistan. NATO’s new Southern Flank? "the more obvious it becomes who is really fighting Daesh and who has been imitating the fight for three years"
Part of the bigger picture..
"NEW YORK, Sept 21 (Reuters) - Turkish President Tayyip Erdogan said on Thursday Turkey will deploy troops in Syria's northern Idlib region as part of a so-called de-escalation agreement brokered by Russia last month. The "de-escalation" zones, agreed by Turkey, Russia and Iran, would be further discussed in talks with Russian President Vladimir Putin during his trip to Ankara next week, Erdogan said in an interview with Reuters while he was in New York for the annual United Nations General Assembly. "The de-escalation zone agreement was a promising idea ... under which Russians are maintaining security outside Idlib and Turkey will maintain the security inside Idlib region," Erdogan said. "The task is not easy ... With Putin we will discuss additional steps needed to be taken in order to eradicate terrorists once and for all to restore peace." Russian Defense Ministry: No Tolerance for Shelling of Syrian Army from US & Kurdish Proxies. It's amazing to me how under reported the expose on massive 2.2 Billion dollar, scratching the surface, US gun running in the vicinity of the ME is? Or how just dribs and drabs of it come through in varying reports? Without explaining the scale/scope of this operation... I thought it quite an exercise of creating a both a convoluted paper and real world trail to discourage anything concrete being put together and yet- somebodies managed to shed some light on what is surely a vastly larger gun running scale, by their own admission, then they could expose! Gotta give them credit for taking the time and doing the digging! The Pentagon’s 2.2 Billion Arms Pipeline Flooding Syria- German & Czech concerns? Israeli forces are reported to have carried out attacks from outside the Syrian border early on Friday, according to the Lebanese Al Mayadeen. It said the strike led to a fire, with no casualties or disruptions at Damascus International Airport reported. According to Israeli media reports, there were three separate strikes. Meanwhile, footage that reportedly captured Syria’s air defense forces responding to the strike was uploaded on Facebook. The air defense forces are said to have shot down one of the missiles. An airstrike of probable Israeli origin launched two missiles at a civilian airport in Syria's capital, Damascus early on Friday morning, Lebanese TV station al-Mayadeen reported. A source at the airport spoke to Prensa Latina, saying that nobody was hurt in the attacks, and little damage was caused. UPDATED- Deir ez Zor: Siege Broken!